"She's only going to take you further into hell!" Freestyle DM has released an official US trailer for an indie drama titled Bardo Blues, which first premiered at festivals back in 2017 and is just now getting a VOD release. Bardo Blues is directed by actress / producer Marcia Kimpton, who also co-stars in the film, co-wrote the screenplay, and produced it (and did all her own makeup - according to Trivia on IMDb). The story follows a mentally ill young man attempting to come to grips with his haunting past (about the mother that abandoned him) by seeking solace and understanding in the unfamiliar Eastern culture of Thailand. It weaves "spiritual awakenings and soulful struggles", and stars Stephen McClintic, Gina Haining, Brian Gross, Natalie Denise Sperl, Tilt Tyree, and Micah Kaneko, plus Kimpton. This does not look good. Set in Thailand, Bardo Blues follows Jack (Stephen McClintic) as he struggles to learn the truth about the mother that abandoned him and his own reason for existing. Weaving spiritual awakenings and soulful struggles, Bardo Blues will leave you questioning everything you think you know about who you are, where you came from and where you are going. 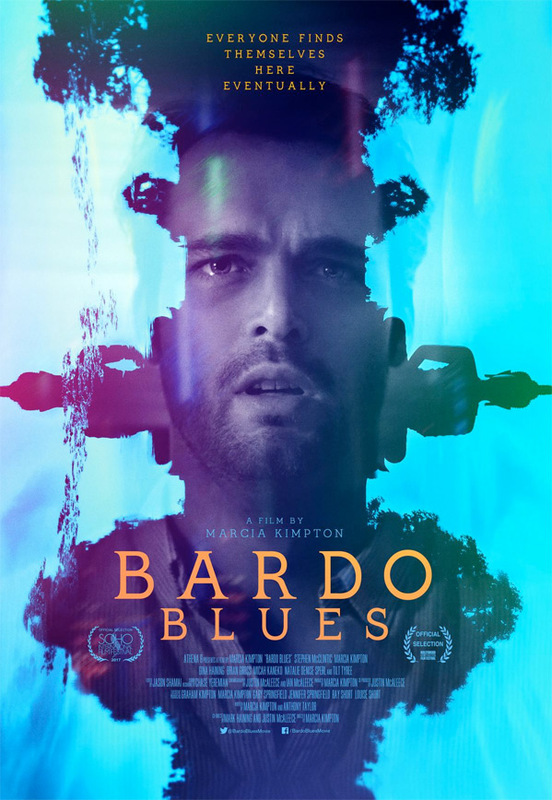 Bardo Blues is directed by filmmaker / actress Marcia Kimpton (making her feature directorial debut, which she already followed up with My Reality), and co-directed by Mark Haining (his first feature) & Justin McAleece (a cinematographer & camera operator, director of Sinister Heaven previously). The screenplay is written by Marcia Kimpton and Anthony Taylor. This initially premiered at the Hollywood Reel Independent Film Festival in 2017. Freestyle DM will release Kimpton & Haining & McAleece's Bardo Blues direct-to-VOD starting May 3rd, 2019 coming up. Anyone?